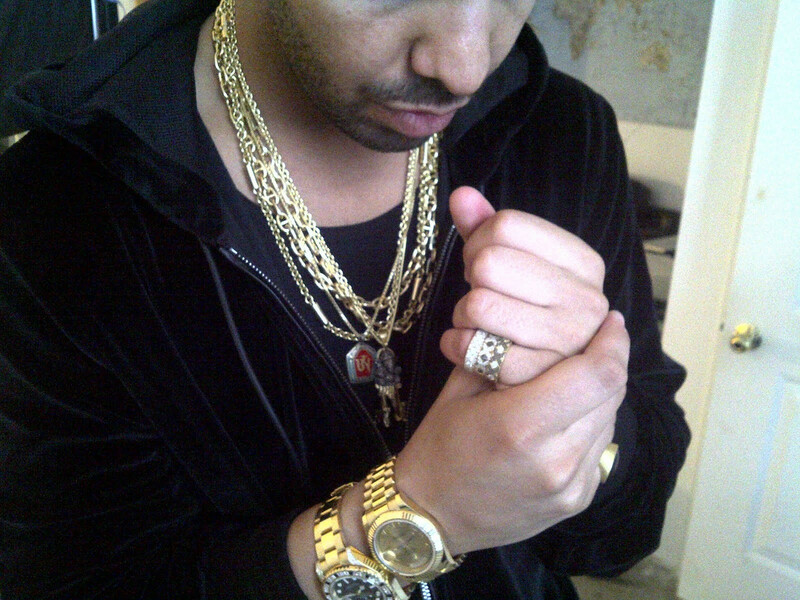 In addition to collecting world-records and awards, it would seem that Drake collects Rolex watches too. Judging from the ones we’ve seen, he’s got quite an impressive collection. Let’s get closer. Drake doesn’t just have one Rolex Daytona, but he’s got several of them including an Everose gold model and a white gold and diamond one. However, the one that caught our eye is the Daytona ref. 116528 with the so-called Paul Newman style tribute dial. With its black background, three gold registers, and red outer minute track, it’s rumored that Rolex released this particular dial in honor of the famous actor that made the Daytona so popular. Although Rolex has never confirmed this (they never do) the look of the dial and the “PN” in the official 116528 PNBK reference number is certainly a clue. 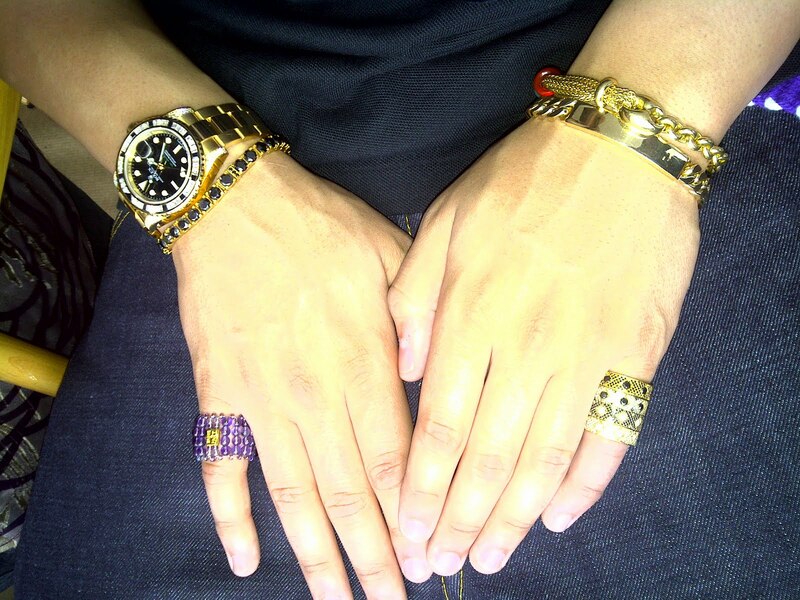 Not satisfied with just any Rolex GMT-Master II model, Drake has a very special bejeweled version. The GMT-Master II ref. 116758SANR is an 18k yellow gold version of the iconic Rolex pilot watch with diamonds and black sapphires. The precious gems are set in the bezel to mark the hours, including the characteristic inverted triangle at 12 o’clock. The diamonds carry on further to decorate the lugs for an ultra luxurious Rolex piece. 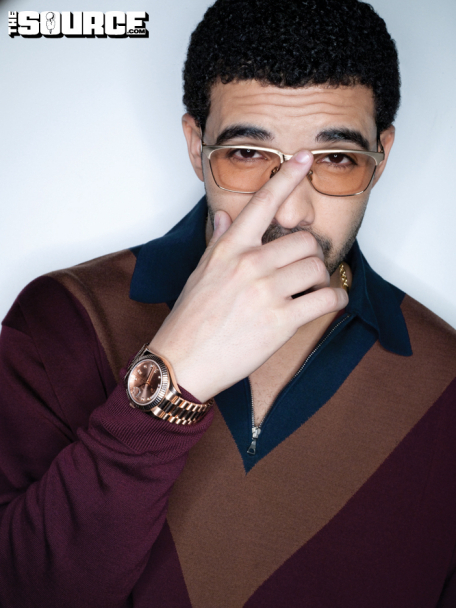 Also in Drake’s current wristwear rotation is his 18k Everose rose gold Sky-Dweller ref. 326935 with a gray dial. The cool slate color of the dial is a nice contrast to the warm pink metal. One of Rolex’s more complex models, the Sky-Dweller, boasts an annual calendar function in addition to two time zones. Given his grueling global touring schedule, Drake could totally take advantage of these practical features! Regardless if he does or not, the Rolex Sky-Dweller is still a great luxury watch to wear and look at. 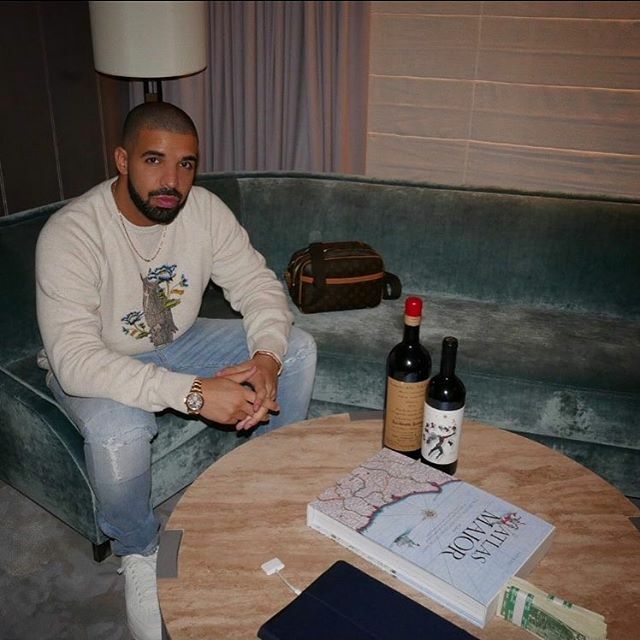 Going by the Rolex watches in Drake’s collection, it would be safe to say that he really likes the Day-Date a.k.a. the Rolex President. We’ve spotted a variety of Rolex Presidential watches including yellow gold, white gold, and Everose gold models. Plus, he also has a yellow gold Day-Date with a diamond bezel. This particular Rolex President ref. 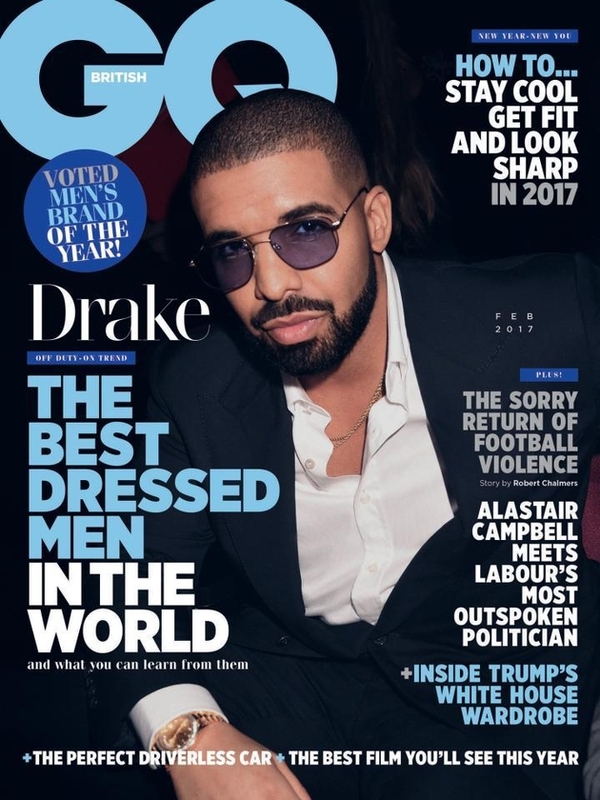 218348 made it to Drake’s covers on American GQ and British GQ. 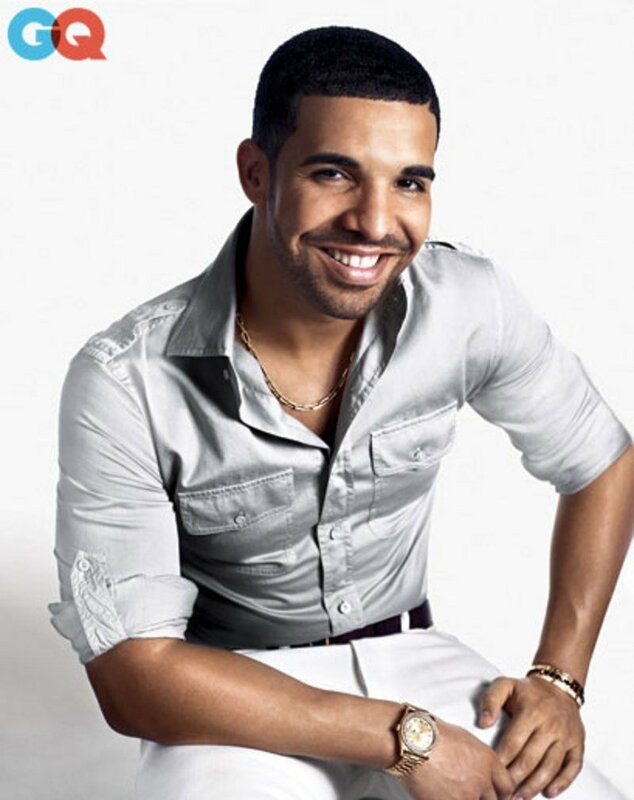 Drake’s Day-Date watches, however, are from the larger 41mm Day-Date II collection, rather than the smaller, more traditional Day-Date 36 one. Along with his presence on the charts, Drake also made it to another famous list—the Forbes Five: The Richest In Hip-Hop Of 2017. The 30-year-old is currently worth around $90 million dollars! This number will probably continue to grow and we’ll see him climbing up from the 5th position to a higher one. 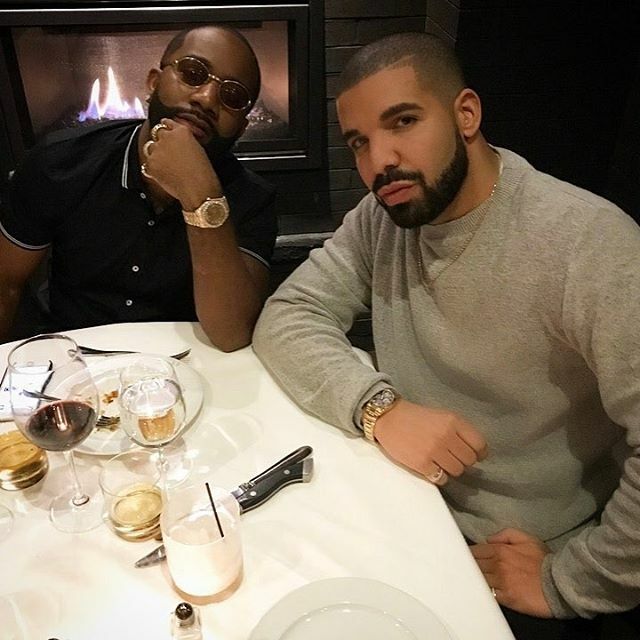 We are certain to see his Rolex collection grow and it’ll be interesting to see which watches Drake picks up along the way. Of the Drake Rolex watches we’ve highlighted, which is your favorite? Daytona ref. 116528, GMT-Master II ref. 116758SANR, Sky-Dweller ref. 326935, or Day-Date ref. 218348? Let us know in the comment section below.